Beauty and tranquility meet at Van Stadens nature conservancy. 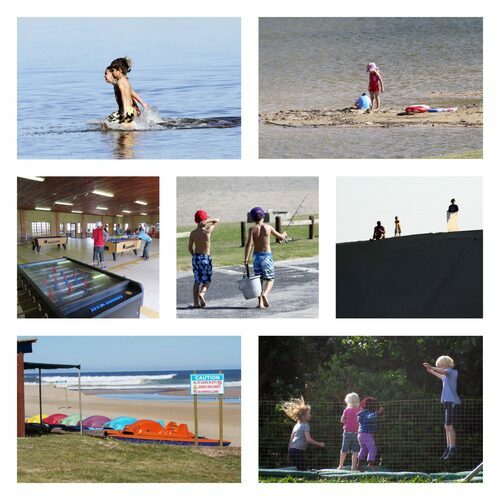 It offers self-catering accommodation, 89 campsites and day-visitor facilities. Bring a your gazebo, pack a picnic, or your braai-grid, and visit us for the day! A kiosk is open over weekends and at peak times. Hours are limited in the low season. Van Stadens Resort is located half way between Port Elizabeth and Jeffreys Bay, only 45 minutes from Port Elizabeth International Airport. Escape from the city but have the convenience of Bay West Mall and a selection of shops and restaurants in a scenic 20 minute radius. Most of the resort fronts on the tranquil Van Stadens River estuary. Trampolines, swings, table-tennis and snooker are available. There are sand-boards, peddle-boats, paddle skis and canoes for hire. Come fishing, birding or swim in the lagoon. The resort offers accommodation for everyone. Beach Units furnish seclusion, a touch of luxury & the ocean on the doorstep for the discerning guest. The 2-bedroomed thatched rondavels represent the "Van Stadens" that everyone remembers. Furnishings are simple, but functional. .Units are neat. The cosy 1-bedroom face brick chalets have sea-views from the braai and patio areas. Furnishings are simple and practical. Van Stadens has 89 lawn sites suitable for tents or caravans. Some have shade from the sheltering milkwood trees, others have panoramic views. All have access to electricity and water. It is best to bring an extension and a blue caravan plug. Your family's safety and enjoyment is important to us. Please help us to keep Van Stadens family friendly!